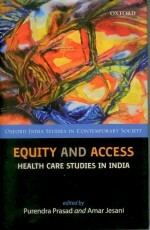 Author(s): Bhate-Deosthali; T. K. Sundari, Ravindran; Vindhya, U. Author(s): Duggal, Ravi; Dilip, T. R.
Author(s): Dilip, T. R.; Mishra, U.S. Author(s): Duggal, Ravi; Kamath, Rajashree; Dilip, T. R.
Author(s): Padmadas; Dilip, T. R.